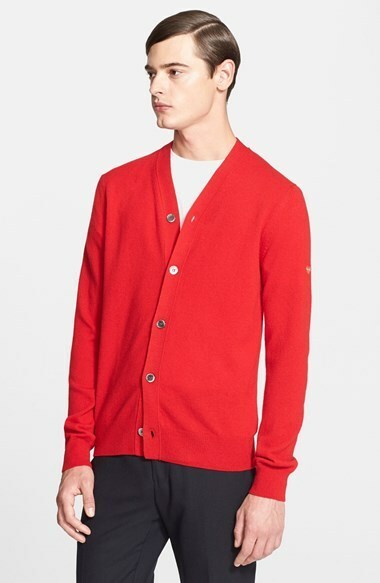 A Comme des Garcons Play Wool Cardigan from Nordstrom and grey wool dress pants are absolute must-haves if you're piecing together a smart closet that holds to the highest menswear standards. For extra fashion points, add a pair of brown suede derby shoes to the equation. 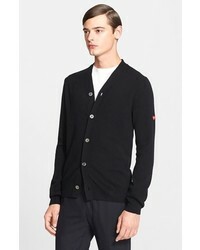 If you're in search of a casual yet seriously stylish outfit, rock a Comme des Garcons play wool cardigan with navy jeans. Both items are totally comfortable and will look great together. 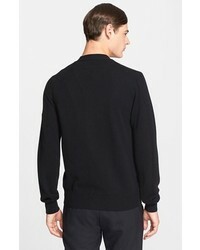 For a comfortable-as-your-couch outfit, team a Comme des Garcons play wool cardigan with white ripped skinny jeans. 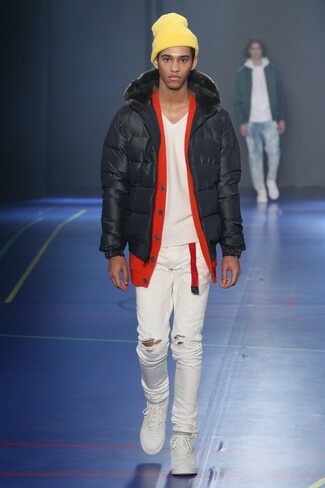 Rock a pair of white low top sneakers for a masculine aesthetic. 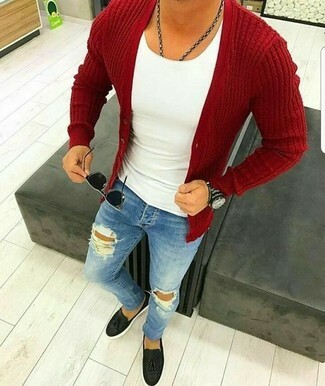 If you prefer practicality dressing when it comes to your personal style, you'll love this simple pairing of a red cardigan and blue ripped skinny jeans. 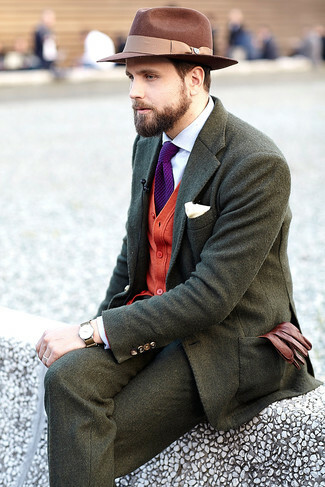 Rocking a pair of black leather tassel loafers is a simple way to add some flair to your look. 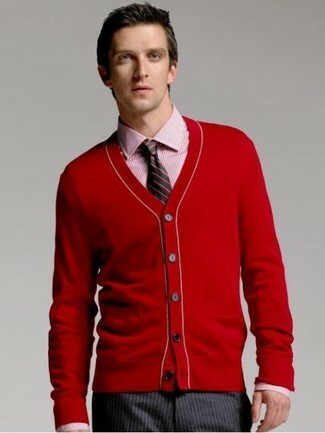 If you're scouting for a casual yet stylish getup, rock a red cardigan with white and navy vertical striped chinos. Both pieces are totally comfortable and will look great paired together. Add a sportier feel to your outfit with black canvas low top sneakers. 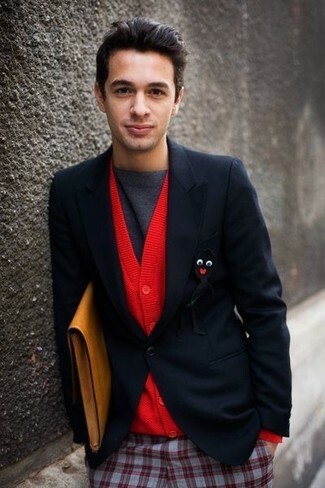 This combo of a Comme des Garcons play wool cardigan and black skinny jeans spells comfort and neat. 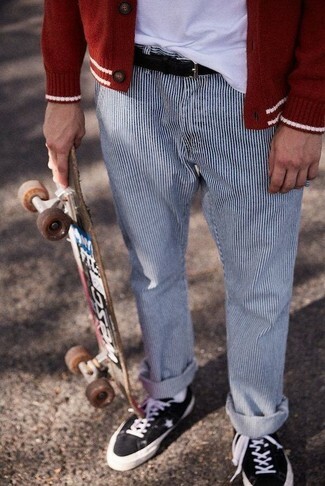 When it comes to shoes, this outfit is finished off wonderfully with white low top sneakers. 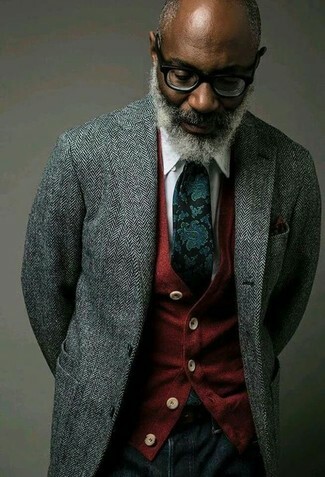 This combination of a Comme des Garcons play wool cardigan and charcoal vertical striped dress pants is the picture of elegance. 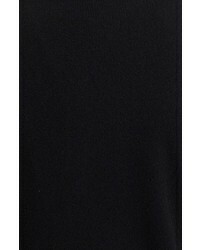 Pairing a Comme des Garcons play wool cardigan and olive wool dress pants will create a powerful and confident silhouette. 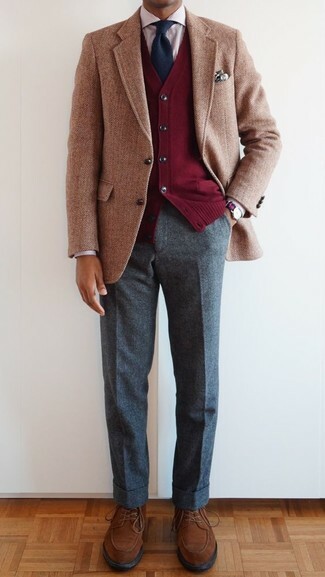 Consider teaming a Comme des Garcons play wool cardigan with grey plaid dress pants for incredibly stylish attire.